The Dance WE Made is the Record Breaking interactive dance performance that invites YOU to be the choreographer: no experience required! The performance roams public spaces, inviting members of the public to devise original choreography in collaboration with The Dance WE Made's highly skilled professional dancers. These newly created dances are then performed by The Dance WE Made Team in each location, filmed, and posted online for the world to see! A team of our 4 highly trained dancers pop up at your festival or event. They have bundles of energy and are guaranteed to be some of the friendliest people you'll meet. Plus, you can't miss their blue T-Shirts! The dancers have just 120 minutes to create a dance using suggestions from the public. No knowledge of dance is required as the dancers can create a dance out of just about anything - even your breakfast! The dancers combine all of the moves that they have collected into a single performance. Each performance, is completely unique to the festival or event and the people the dancers meet! We have a massive pool of TDWM Trained Artists across the UK, but we love to train up local dancers too. It's a great way for them to build new skills and engage with the community. 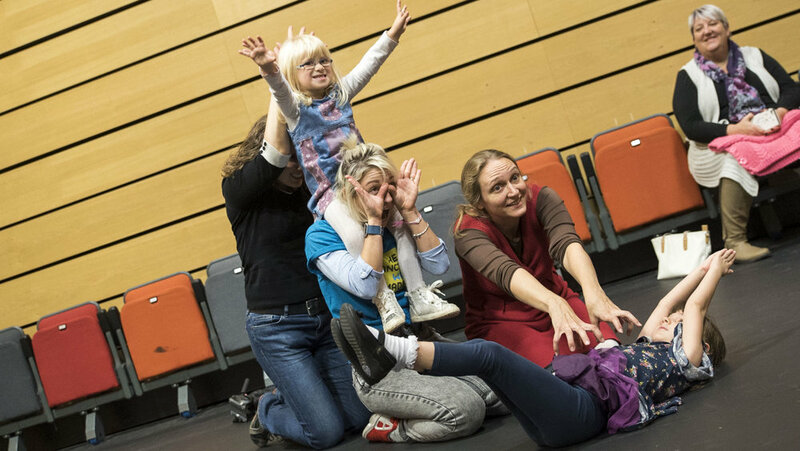 Following our performances we can lead workshops where the audience get to create their very own dances using super fun TDWM methods! Great for families, and big kids love it too! In 2012 TDWM set a New World Record by combining dance moves from 152 people into 1 solo performance, creating '152': the dance piece with the largest number of choreographers ever created. So far, TDWM has worked with over 2000 people to create over 100 unique dances, and our online videos have had over 40,000 views. Since starting as part of Big Dance and the Cultural Olympiad in 2012, TDWM has been presented at locations and festivals including: Glastonbury Festival, London Bridge Festival and bOing Family Festival in the UK, as well as internationally in New York, Zimbabwe, Canada and Abu Dhabi! Tim Casson set up Casson & Friends to bring 'the joy of dance into the everyday'. The Dance WE Made was the first project and was created as a unique way for everyday people to engage with dance, drawing upon the untapped creative potential in all of us. C&F have since gone on to create 9 productions, and are pioneers of their unique form of interactive dance. WANT TO MAKE A DANCE?